Harley-Davidson — Did You Know? 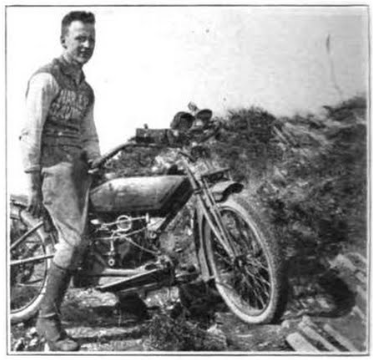 Did you know, that in August 1919, Ted Gilbert became the first motorcyclist to ride a machine to the top of the rocky butte near Portland, Oregon? His motorcycle of choice was a Harley-Davidson Sport Twin. Sitting at 4,045 feet above sea level, Larch Mountain is 11,000 feet of narrow, brushlined trail. Rugged and heavily timbered, with huge boulders, sharp stones, and logs lining its sides, it had previously withstood all attempts for anyone to reach its summit on a motor vehicle. The three-mile climb took 2 hours and 20 minutes and needed neither chains nor a tractor band to help the Sport Model along. A big sign measuring 4 feet by 6 feet nailed to the side of a huge fir tree marks the time, the name “Harley-Davidson Sport Model,” and the name of its rider, so that when Mazamas and various other organizations of mountain climbers would later reach the top, they would be able to see that a motorcycle could climb the hazardous cliffs of Larch Mountain. Did you know, Harley-Davidson offered a line of perfumes and colognes? During the “Disneyfication” era which included branding any merchandise product such as T-shirts, leather jackets, caps, helmets, socks, gloves, knifes, signs, wedding cake decorations and key chains. This was a product to complete the all-encompassing Harley-Davidson lifestyle and smell like your favorite bike at all times. The line of perfumes and colognes were called “Hot Road” and featured woody aromas with hints of tobacco. It was 1996 and Harley-Davidson thought they’d attempt to capitalize on the company’s unique brand loyalty and decided to produce their own line of perfumes and colognes. 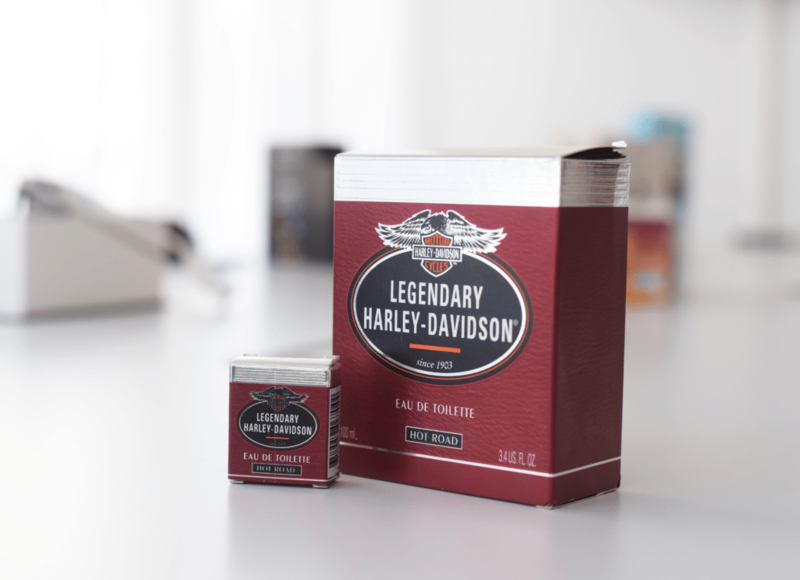 The woodsy scent with faint traces of tobacco did not make the top of the list for even the most loyal Harley-Davidson fans, yet you can still purchase some HERE. Did you know, Jeffrey L. Bleustein is considered the “Father” of the Kevlar Belt? Mr. Bleustein was Harley-Davidson Chairman from December 1998 to April 25, 2009. He retired as Chairman of the Board in April 2009. Previously, he served as Harley-Davidson CEO from June 1997 to April 2005. He also served at Brunswick Corp in many capacities and was President of Tri-Hawk, Inc., a subsidiary of Harley-Davidson, 1984 to1985. Mr. Bleustein was a technology consultant with AMF. In 1969, AMF merged with Harley-Davidson and in 1975, AMF assigned him to help reorganize H-D engineering operations. 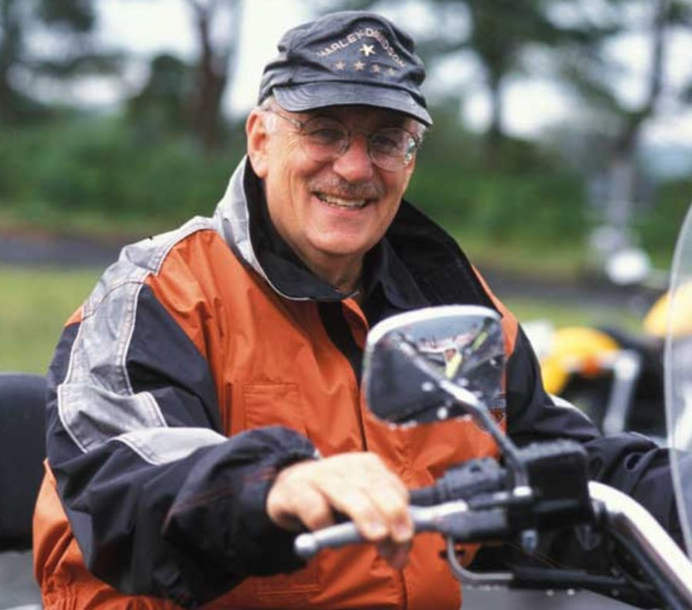 Led by AMA Hall of Famer Vaughn Beals and 11 other Harley-Davidson executives (including Willie G. Davidson), Bleustein helped execute an $81.5 million leveraged buyout of the company from AMF Corporation in 1981. Mr. Bleustein was responsible for engineering innovation which included the rubber engine mounts, redesign of the V-Twin and introduction of the Kevlar drive belts. More on the CEO’s of Harley-Davidson HERE. Did you know, Rich Teerlink established HOG? Mr. Teerlink — served as Chairman and CEO until 1999 at Harley-Davidson until he retired. Mr. Teerlink joined Harley-Davidson in August 1981 as CFO where he enjoyed great success over his 18-year tenure. He started just two months after a group of 13 Harley managers had bought the company from its then parent company, AMF, in a leveraged buyout. Mr. Teerlink’s greatest accomplishment was establishing the Harley Owners Group (HOG) in 1983. Did you know, the birthpace of Harley-Davidson in Australia, is considered to be Morgan & Wacker in Brisbane? Many people don’t realize that Harley-Davidson started operations in Australia just 14 years after the U.S. At the Morgan & Wacker dealership is a 1917 V-Twin, the exact bike that was one of the first in Milwaukee, and it sits half-way around the world in Brisbane, Australia. Bill Davidson recently visited and was photographed by the motorcycle. Did you know, Oregon Regulation of gasoline dispensing recognizes the special fueling requirements of Harley-Davidson motorcycles and makes the motorcycle rider the expert at fuel dispensing? 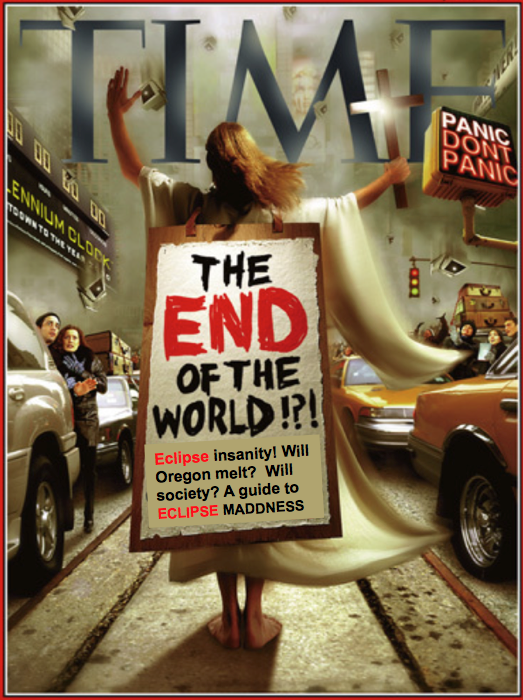 According to Oregon’s legislature, ORS 480.330 it’s all about the inconvenience and hazards of self service. I feel it’s just another step in the government ladder of dependancy. At any rate, the law states that an owner, operator or employee of a filling station, service station, garage or other dispensary where Class 1 flammable liquids, except aviation fuels, are dispensed at retail may not permit any person other than the owner, operator or employee to use or manipulate any pump, hose, pipe or other device for dispensing the liquids into the fuel tank of a motor vehicle or other retail container. However, on June 11, 2001, Oregon motorcyclists won the right to pump their own gas. Governor John Kitzhaber signed House Bill 3885 into law, which gives motorcyclists the choice of fueling their own bikes. 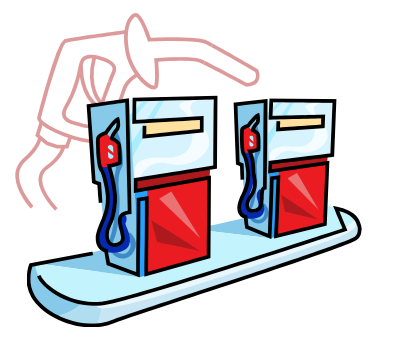 Oregon and New Jersey are the only two states which prohibit “Self-Serve” gas pumps, and motorcycles are the only class of vehicle allowed to actually dispense fuel into their own tanks in Oregon, which was effective January 1, 2002. The law recognized the special fueling requirements of various motorcycles which then made the rider the expert at fuel dispensing. This bill also removed a liability for gas station owners who permitted the common sense practice of allowing motorcyclists to fuel their own motorcycle. 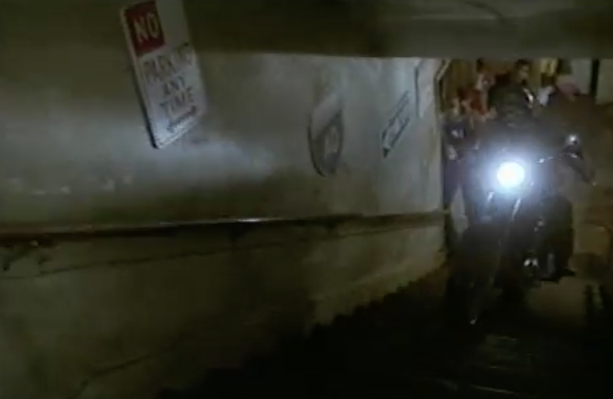 Did you know, Bruce McGill, “D-Day” character in Animal House, rides a Harley-Davidson Sportster motorcycle up the Delta House internal staircase? The 1978 John Landis movie was filmed in Eugene, Oregon and starred John Belushi. Many campuses rejected the filmmaker’s location request, due to the raunchy content of the script, before the University of Oregon approved it. Then-President William Boyd even allowed his office in Johnson Hall to be used as that of Dean Vernon Wormer (John Vernon). The movie’s Delta House was an early-20th-century Eugene residence that served as the home of the Phi Sigma Kappa fraternity from 1959 to 1967. Although it was demolished in 1986 and replaced by a suite of doctors’ offices, a large building outside the new building bears a plaque that commemorates the Delta House location. Many of the interior scenes were filmed within the adjacent Sigma Nu house, which still stands today on East 11th Avenue; the exterior of the frat house was cast as a sorority house through whose window Belushi peered at half-naked coeds. The movie’s climactic parade scene, featuring actor Kevin Bacon’s film debut, took place in downtown Cottage Grove, Oregon. Did you know, Harley-Davidson has multiple manufacturing plants in Asia? The motor company announced plans to build a manufacturing plant in Thailand where motorcycles will be assembled from parts manufactured and shipped from the U.S. The company said the plant will cater to the Asia-Pacific market, particularly China and Southeast Asia with plans to begin production in Thailand in 2018. The factory is being erected in the Rayong province, Thailand which is geographically located southeast of Bangkok. This will allow the Harley-Davidson to circumvent Thailand’s tariffs of up to 60 per cent on imported motorbikes. The Thailand plant is the second factory in Asia as Harley Davidson has a plant in Bawal, India, where the Street 750 model and Street Rod is produced. In addition, Harley-Davidson manufactures motorcycles at a plant in Brazil and has a wheel factory in Australia. 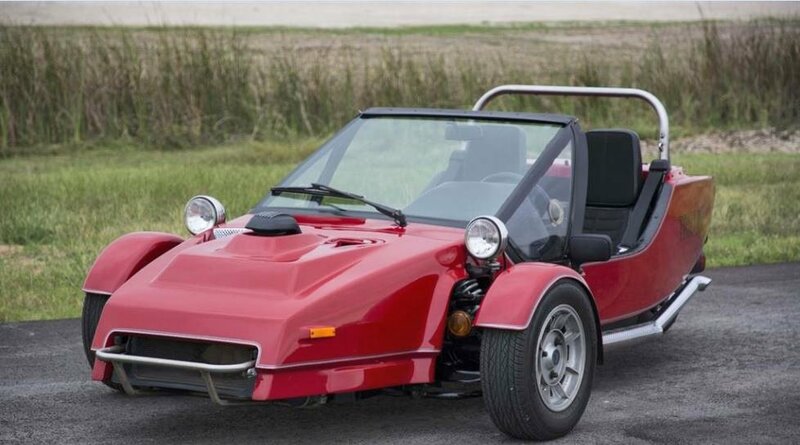 Did you know, Harley-Davidson sold a no-doors, no-roof, no-regrets, Polaris Slingshot knockoff back in the 1980’s? Called the Tri-Hawk it was viewed as a semi-automobile. Harley-Davidson acquired the company in 1984 and the cost for a Tri-Hawk was nearly $12,000. Jeffrey L. Bleustein — who had a long tenure at Harley-Davidson, served at Brunswick Corp and was President of Tri-Hawk, Inc., a subsidiary of Harley-Davidson, 1984 to1985. Mr. Bleustein was also a technology consultant with AMF. For many years Harley-Davidson made three-wheelers in the form of utility and police “trikes,” but they were not like the svelte looking Tri-Hawk’s. They product appeared only briefly in Harley-Davidson showrooms as it was determined to be a marketing miscalculation and they were quickly pulled from the motor company line-up. The two-passenger Tri-Hawk had already been in limited production before Harley-Davidson decided to take it on to fill some niche. In 1983, prior to acquiring Tri-Hawk, Harley-Davidson made a deal with an Austrian Rotax company for engine-gearbox racing units destined for 500 cc short track racing, but the Tri-Hawk was powered by a French-built Citroen four-cylinder motor. 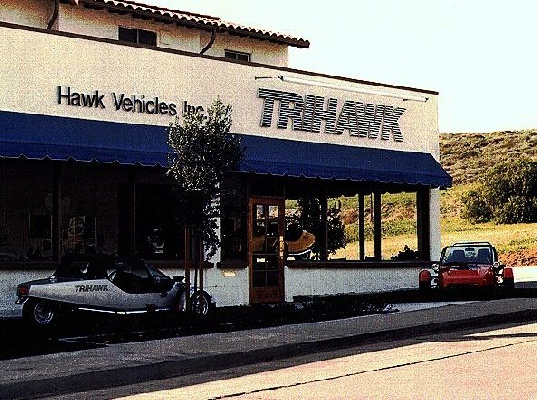 The product had appeal, but the motor company decided not to sell them through their dealers, leaving only the factory in Dana Point and three other franchise locations to sell all the Tri-Hawk’s. With limited availability and about eleven Tri-Hawks leaving the factory per month they became a sales failure. Not from design flaws, but from management and company neglect. I had someone ask me recently, “Are you going to vote, Mac?” I gave a flippant answer along the lines of, “Can felons vote?” Comically looking to avoid any follow-on political conversation. They responded that they were a democrat. Unless you live under a rock you know it’s Presidential election season and that means 24×7 politics. It’s become a favorite sport for the talking heads and something that at times is difficult to watch. The two parties are worlds apart and each convention had one shameful, but perfectly legal thing in common. Both events and some follow on rallies included protesters burning American flags. It’s always hard for me to watch that type of demonstration, let alone understand. And speaking of Colin Kaepernick, who was spotted sitting during the national anthem before a pre-season game… who described in post-game interviews his decision to not stand as protest for what he feels is racial injustice. Come on, who doesn’t expect there’s a camera everywhere these days? In fact, Kaepernick didn’t stand for the first two pre-season games of this year prior to last weeks display. He wasn’t in uniform, so no one including the media took notice. Or if they did, they didn’t care because Kaepernick is struggling to reclaim lost magic on the field. Kaepernick is just an athlete, not my role model, but since the NFL has to sell advertising, the media and talking heads, get on the bandwagon and venerates these overpaid people so out of touch with the reality of middle-america. True that they have pursued their sport for their entire lives, But the talking heads lead us to believe they’re better than us. I’m not saying we have to like the work of those who make it, but you do have to admire their perseverance and all the hard work they put into making it. 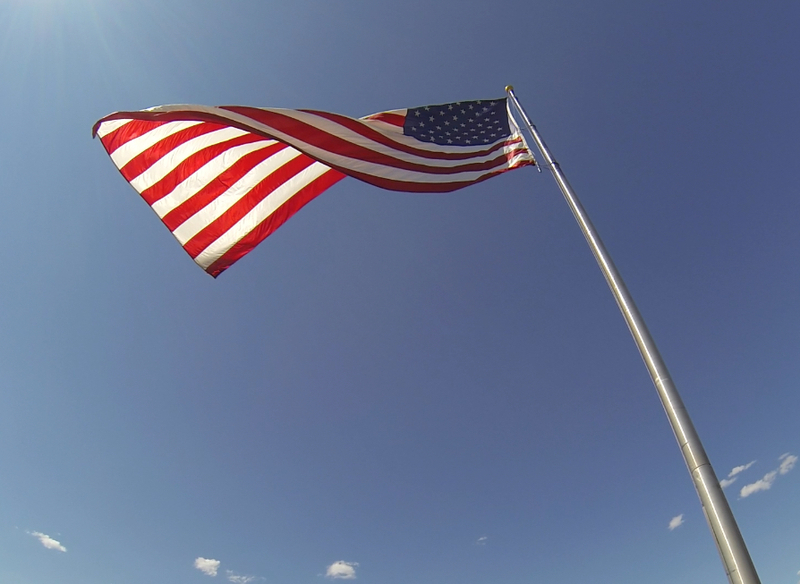 Over the years I grew to respect the American flag more than I ever had as a child. It wasn’t that I had become more patriotic; it was brought about in later years seeing military honor guard and flag-draped caskets of veteran relatives and friends. I gained a better appreciation of their patriotism and the artifact of the family pride in how each had served their country which resonated. I believe you should stand during the national anthem and take your HAT OFF. People died for that flag, but I’m not here to give Kaepernick a lesson in patriotic etiquette. I’ll sit that one out. My relationship to the national anthem and what the American flag means reminds me of another philosophical orientation related to the outlaw motorcycle club patch. 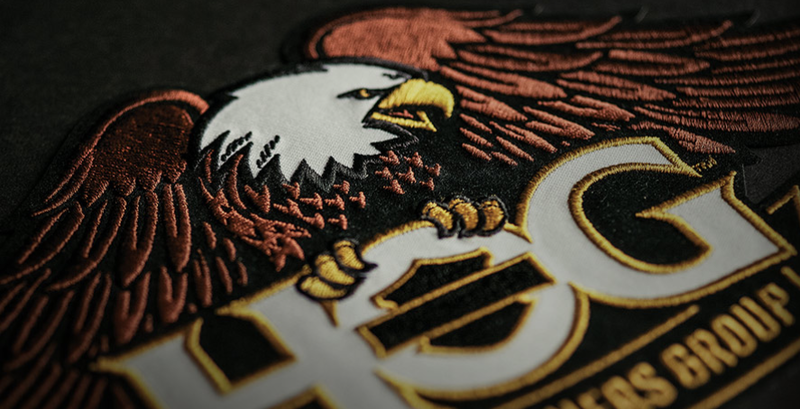 A creed of love, loyalty and respect for what a club patch represents to it’s members. It’s the same throughout the motorcycle club world. There are basic rules to follow, which are really just common sense. You never let it hit the ground, you don’t conduct yourself in a unbecoming manner, never let it be disrespected and never let it be taken from you. I’m not a member of an outlaw motorcycle club or have a patch to defend, but I hope to God I will always have that American flag! Photo taken at Northwest HOG Rally – Spokane, WA. We’ve all done this a number of times. Riding into a curve, adjusting your speed and noticing that you’re going 5 to 10 miles per hour above the posted speed on those yellow curve advisory speed signs. Rarely do they seem accurate. This is all about to change, but I feel compelled to go over this once again since it happens so often. The most common cause of single-vehicle, motorcycle crashes is where riders are seriously injured and/or die each year when they “drift” and/or fail to negotiate turns or curves, and they either end up in the opposing lane of traffic, or they lose control and crash. 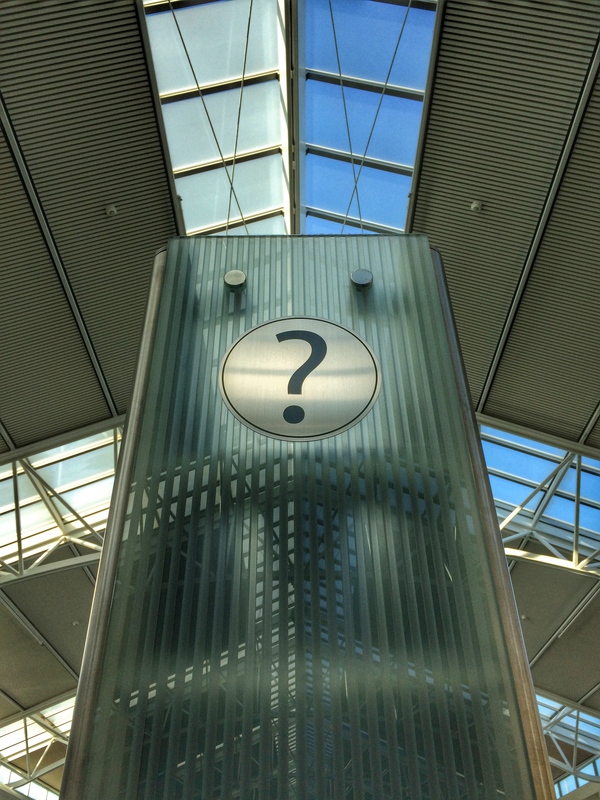 One could debate that the worst riders are sometimes the people with the most experience because they think they are the great riders so they sometimes do not exercise the caution that they should. The circumstances of drifting and the failure to negotiate a curve have resulted in multiple motorcycle deaths in Oregon just over the last 2 months! Excessive speed is most often the main reason these “accidents” occur yet it’s one of the most preventable motorcycle crashes. What typically happens is the rider gets into a turn and suddenly believes they are going too fast to make it around the curve. Maybe the rider hears the pegs start to scrape. Since they are not familiar with that sound, they panic, straighten up the bike, then look at the yellow line in the road, the guard rail, or even the oncoming vehicle and a crash occurs. In many situations the motorcycle was very capable of making the turn at the speed the rider was going, but the rider was not. They teach you in motorcycle safety courses that before you enter a curve you should direct your motorcycle to the farthest part of the lane away from the turn so that you can theoretically see around the turn more. For example, when rounding a curve to the left, position your bike to the right side of the lane and focus on the end of the turn and no where else. Never look at the yellow line, the guard rail, or the oncoming car. If the road curves to the right, position your bike to the left side of the lane as you enter the curve. However, you might find that sometimes it is not safe to go to the farthest part of the lane away from a curve because of oncoming cars or debris on the shoulder. In the end the safest thing to remember when going around curves is to keep a safe speed period. Updated federal procedures require consistency of curve advisory speeds on all public roads and the Oregon Department of Transportation (ODOT) is updating curve ‘advisory speed’ signs around the state. This means that some 50-75 percent of all curve speed advisory signs will change over the next three to four years, most will see an increase in the advisory speed of 5 to 10 mph. Yes, you read that correct. An INCREASE in speed! Historically advisory speeds were very conservative or inconsistent and now with new technology to determine advisory speeds for curves they will be closer to what riders should be traveling at through a curve. If you are accustom to going faster than the posted advisory speed it may not end well! Read more on the comprehensive assessment of the ODOT Curve Advisory Speeds Program (PDF file), performed by Oregon State University researchers. The State of Oregon has more than 74,000 miles of total roads and highways to wander as you set out on your northwest adventure. The state is known for a diverse landscape including the Pacific coastline, the Cascade Mountain Range, and the flat central/eastern desert. It’s the ninth largest state and with a population of 4 million, the 26th most populous. Yet, over the last couple of weeks the state is being defined by an alarming spike in motorcycle accidents and rider deaths! OSP flash alerts are HERE. On Highway 36 on June 24th a 2004 Harley crossed the center line and struck a Ford Ranger head-on. The motorcyclist, 56-year-old Michael R. Lucier of Swisshome, died at the scene. On June 25th there was motorcycle crash on Highway 46 at milepost 7 (Caves Highway near Cave Junction). The preliminary investigation revealed that a 2001 Triumph motorcycle was eastbound on Highway 46 at milepost 7 when it left the roadway on a corner. The motorcycle struck a tree and the rider, Patrick Michael Daley, age 57, of Cave Junction, was thrown down the embankment and pronounced deceased at the scene. On June 26th there was a report of a truck versus motorcycle collision on Interstate 5 at the 235 interchange (just north of Albany). The 1995 Kenworth truck tractor was towing a chip trailer and had been traveling southbound on Old Salem Road. The truck began to make a left turn onto the Interstate 5 southbound on-ramp, but turned in front of a northbound 1995 Kawasaki motorcycle. The motorcyclist crashed as a result of the truck turning into its path. The rider, Kevin R. Argo, age 39, of Lebanon was pronounced deceased at the scene by emergency personnel. On June 30th near Deadwood, OR, Richard F. Araujo, 68, died when he missed a corner on his 1992 Harley Davidson and sideswiped a Dodge pickup. It was the 2nd fatal motorcycle crash on Highway 36 in less than a week. On July 2nd OSP responded to a report of a motorcycle versus vehicle crash on London Road near the Cottage Grove Reservoir. Information revealed a 1999 Honda 900 motorcycle was traveling southbound on London Road at a high rate of speed just as a 2008 Chrysler Sebring was pulling out of a private drive northbound. The motorcycle impacted the driver’s side of the Sebring. The rider, identified as Cory Nathan Tocher, age 33, of Cottage Grove, was thrown from the motorcycle and pronounced deceased at the scene. Also on July 2nd there was a report of a traffic crash involving a motorcycle rider and an SUV on Southeast 82nd Avenue near Schiller Street. Efforts to save the motorcyclist, 45-year-old Aaron Christopher Rufener were unsuccessful and he was pronounced deceased at the scene by emergency personnel. The driver of the SUV, a 44-year-old man, remained at the scene and was cooperative. Officers learned that he was driving northbound on 82nd Avenue and was turning left into the Don Pedro Mexican Restaurant parking lot when the southbound motorcycle rider crashed into the passenger side rear of the SUV, a 2004 Chevrolet Trailblazer. The motorcycle is a 2013 Harley Davidson. In addition, on July 5th there was a vehicle crash reported on I-5, just south of Ashland. The crash, involved a BMW motorcycle and a semi-truck going southbound at mile post 10.5. The motorcycle was from Mexico and was traveling at about 70 mph when it ran into the back of a semi-truck. The motorcycle driver was transported to Oregon Health and Science University to be treated for his life-threatening injuries. On July 6th, again on I-5 in northern Josephine County near Wolf Creek, OSP responded to the single-vehicle accident at milepost 80. David Carl Freiboth, 61-year-old of Mercer Island was riding his Triumph motorcycle in the fast lane of I-5 when a semi-truck in the slow lane quickly signaled and changed lanes in front of him. Freiboth told OSP he hit his brakes and quickly veered away from the semi, which caused him to hit the median and lay his bike down. He complained of shoulder pain and was transported by AMR Ambulance to Three Rivers Medical Center for treatment. A motorcyclist behind Freiboth confirmed the incident, but was unsure about the description of the semi – which did not stop after causing the mishap. Oregon has no shortage of steep grades, tight curves and awesome views that can be fascinating on a motorcycle. But, please, PLEASE pay attention because we want you to live through your trip here! 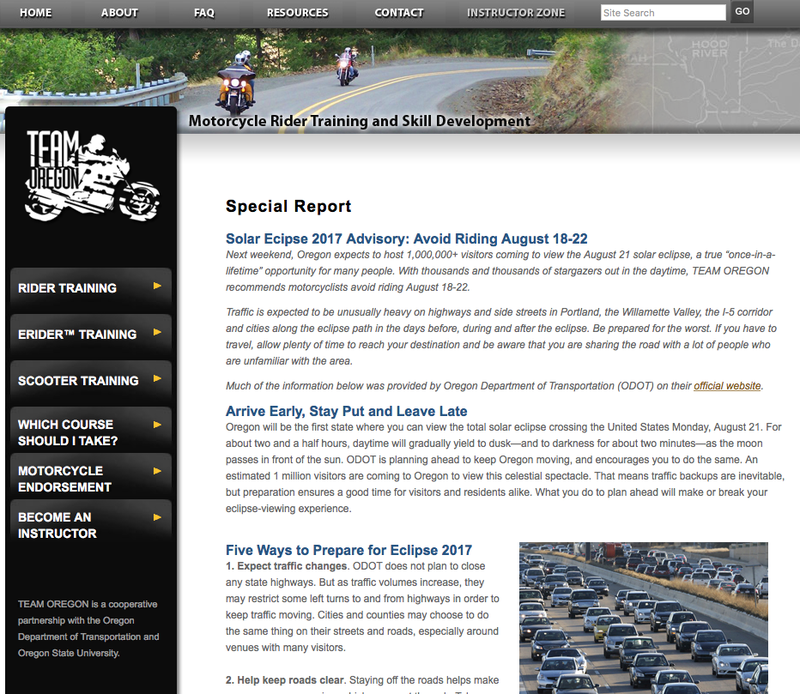 If you are new or considering a motorcycle visit to the state I urged riders – to review motorcycle safety information. Those words are as true today as they were back then. Throughout our Nation’s history, American soldiers (Army, Marines, Navy, Air Force, and Coastguard) have bravely answered the call to defend our freedom. Join me today, Veterans Day, to honor all the men and women who have served our country and preserved our many freedoms.